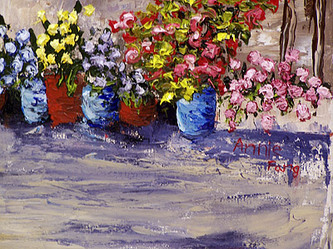 The first painting I'd like to present to you is by my youngest oil painting student, Annie. 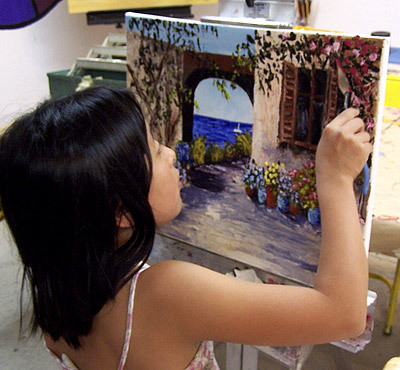 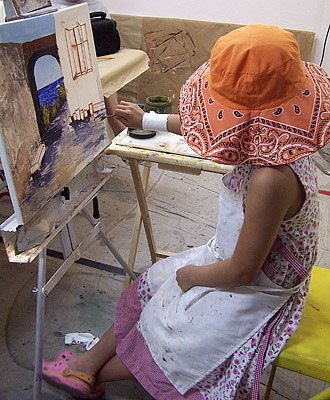 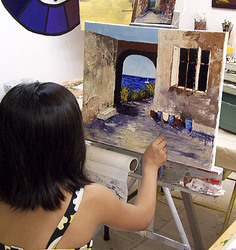 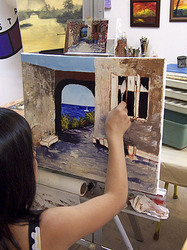 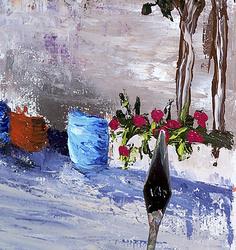 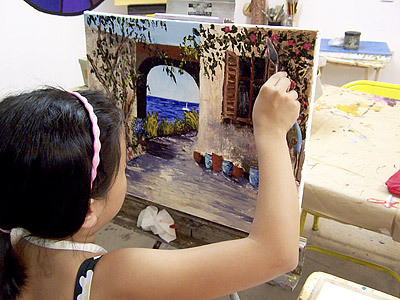 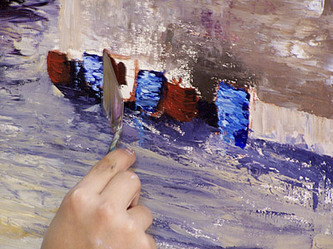 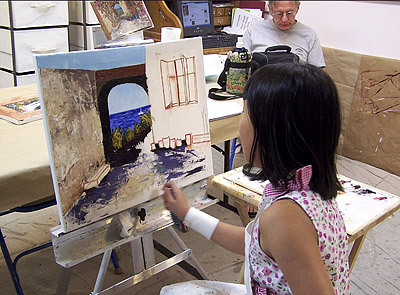 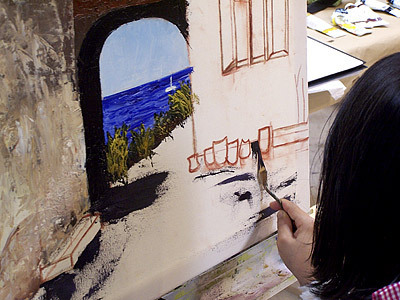 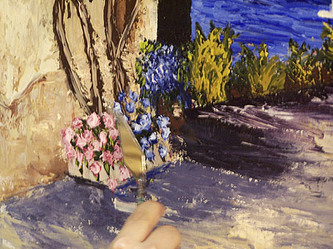 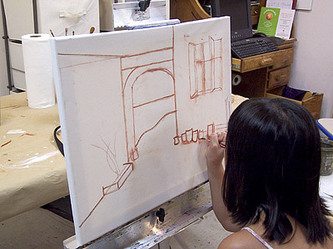 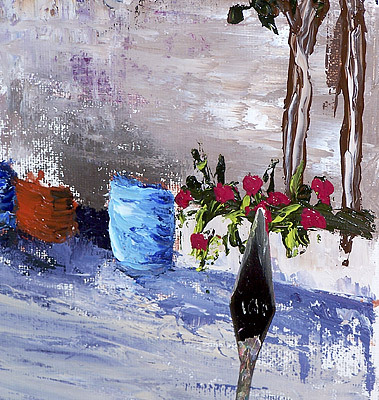 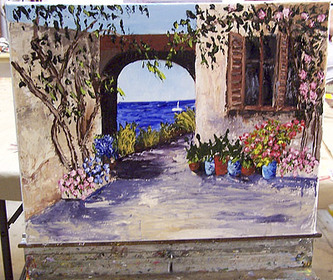 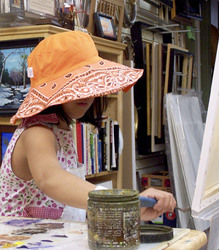 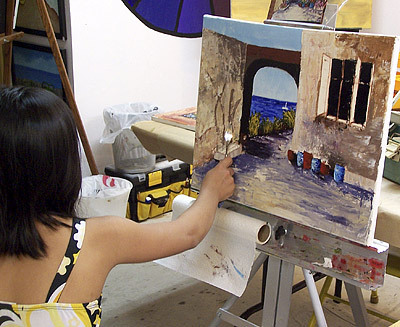 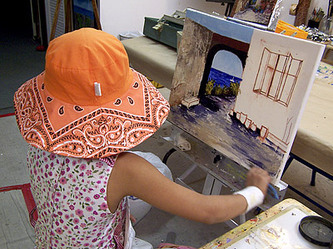 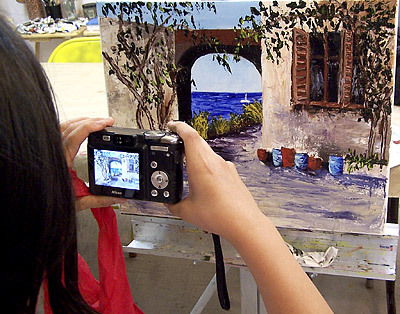 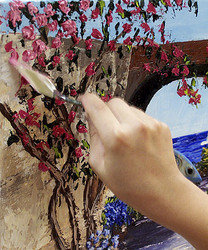 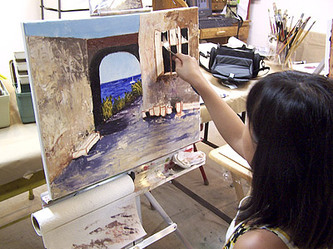 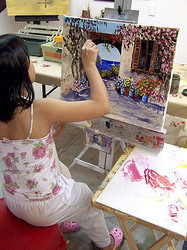 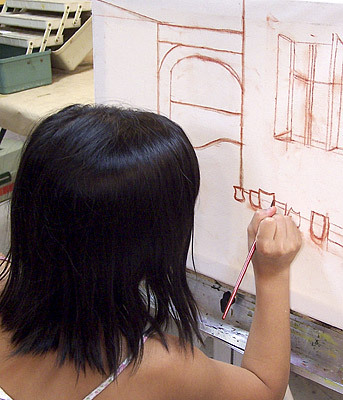 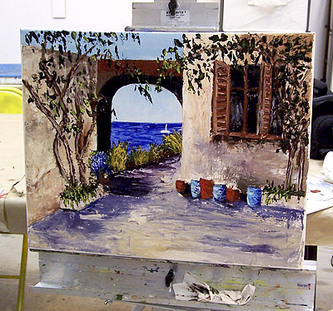 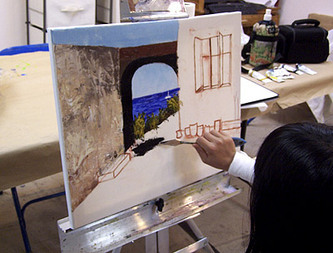 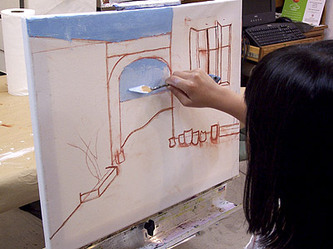 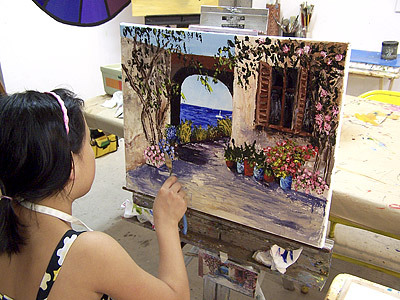 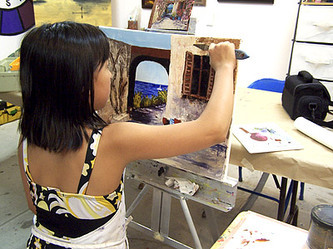 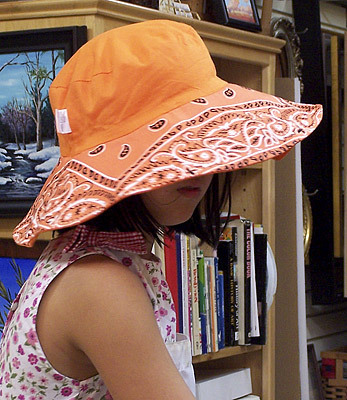 For this painting, Annie has chosen to use the palette knife as her painting tool. 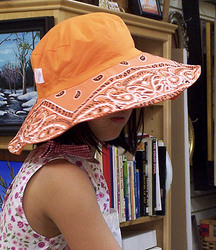 Annie finished her painting on 7/24/10. 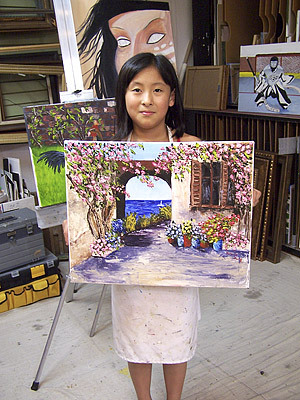 And what a great job she did.